Start selling your products online in minutes. 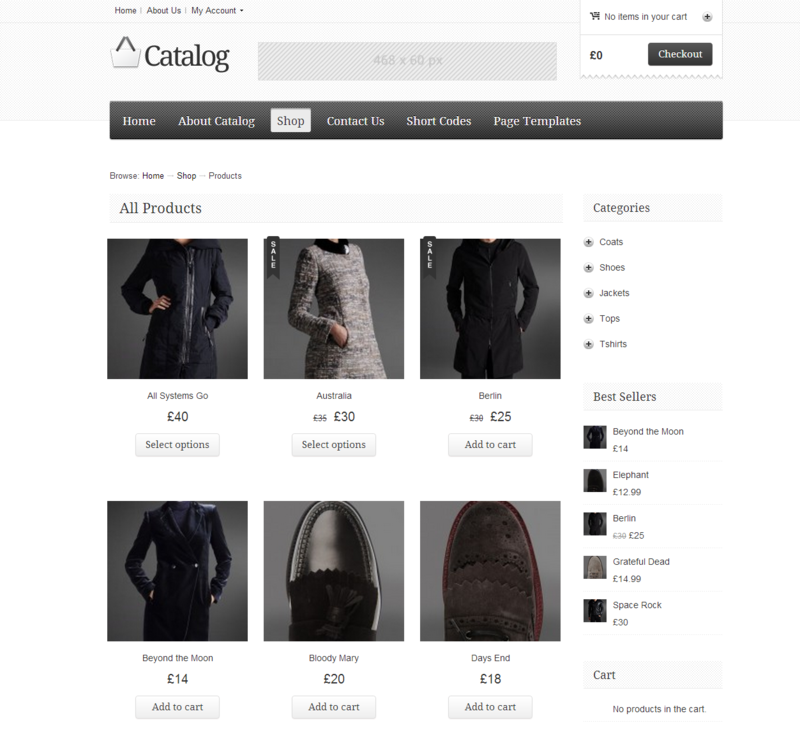 Take your business to the next level by setting up an eCommerce website with the Catalog WordPress theme. 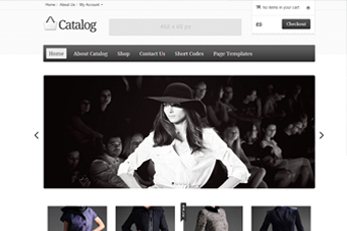 Catalog has a simple design and is ideal for creating small to medium sized ecommerce websites. 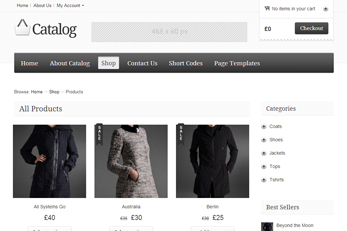 This eCommerce WordPress theme is ideal for concept based, eCommerce websites. Powered by WooCommerce, Catalog eCommerce theme is a minimal and powerful eCommerce solution for starting your online business. 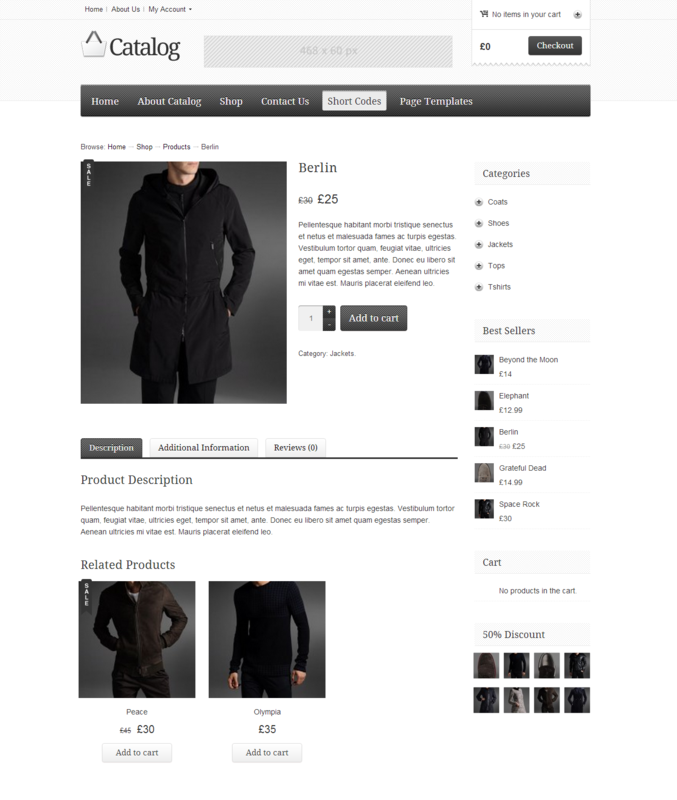 Also, have a look at our collection of best eCommerce themes. This responsive eCommerce WordPress theme ensures that your site works and looks great on all devices.To test this open the demo and resize your browser window. For the ultimate test simply navigate to the demo site with your phone. WooCommerce is a free e-commerce plugin that in combination with Catalog allows users to create an advanced online shop in just minutes. Numerous extensions allow you to add more features into your eCommerce website. 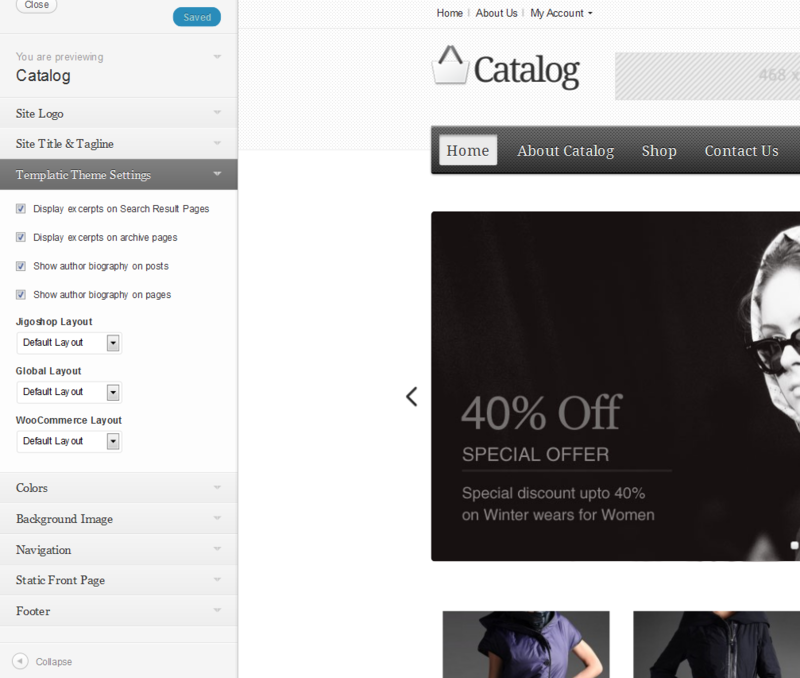 Customizing the Catalog eCommerce Theme’s homepage is easy as drag n’ drop, literally. Widgets allow you to populate the homepage with various content while still preserving that clean and beautiful look! 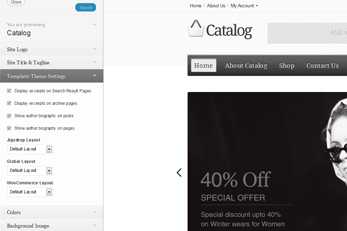 To help you customize your posts and products Catalog eCommerce theme comes with a wide selection of shortcodes. These shortcodes let you format your pages and make them look elegant. Visit the demo site to see them in action. Share news and promotions with your visitors by maintaining a blog. To start a blog simply create a category and begin writing! 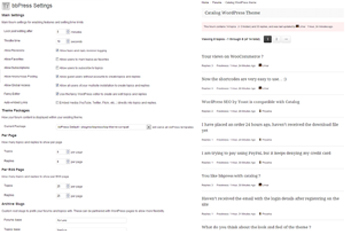 Use bbPress to start a community-driven forum and get some quality feedback from your visitors. bbPress integrates with WordPress to provide a truly seamless forum experience. 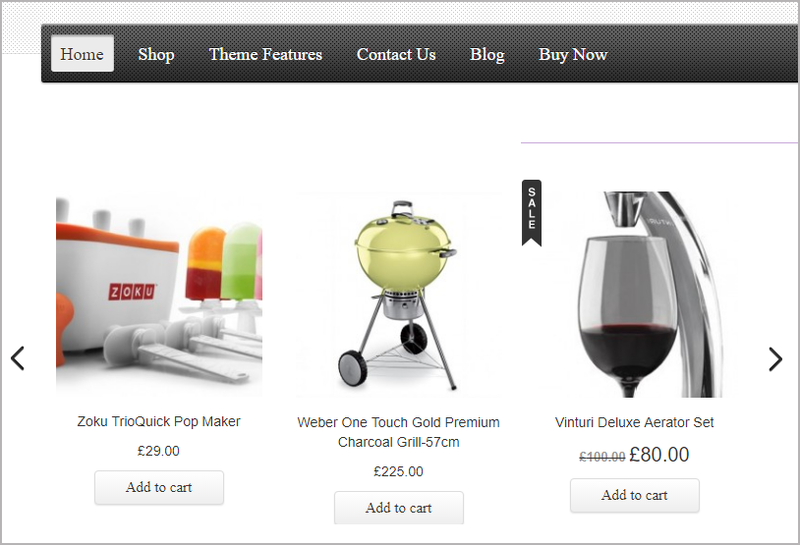 The homepage slider enables you to showcase both products and regular images. Extensive effects settings make customization extremely easy and the convenience of it being a widget make activation/deactivation a breeze. Make it easy for your prospect customers to find your products by creating an SEO friendly eCommerce website with the Catalog WordPress Theme. 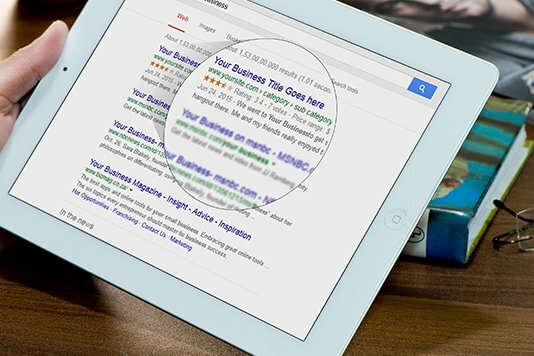 The theme is coded with the best SEO practices in mind. 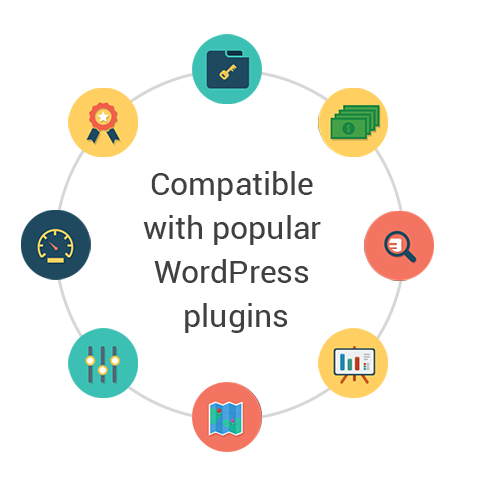 Besides, the theme allows compatibility with WordPress Yoast SEO plugin that helps you monitor and optimize the pages and content of your website. Earn by displaying advertisement banners on your web pages. This elegant WordPress eCommerce theme comes with advertisement widgets that you can use to display advertisement banners at desired place in your website. On the other hand, if you don’t want to display advertisements on your site, you can easily remove the ad sections of your website. Adding or removing advertisements from the sidebars or the header, won’t affect the design of your website at all. Want to highlight some of your best products on the homepage? 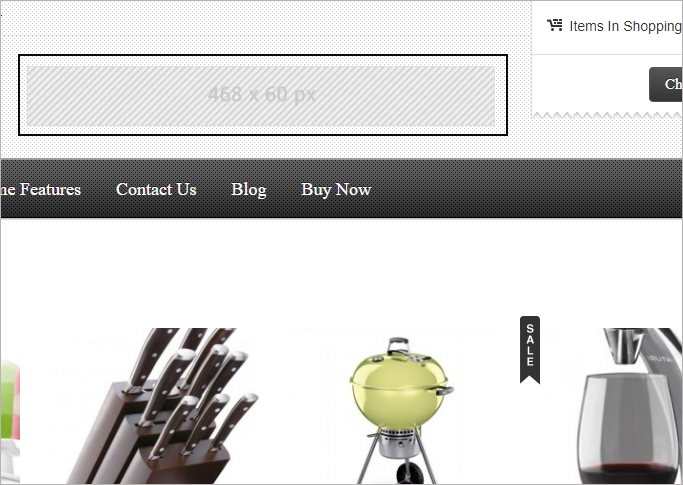 Use the featured product slider on your eCommerce WordPress theme to attract more attention. This area is followed right after the header part and therefore guarantees maximum exposure for your special products. 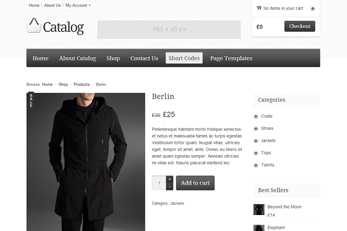 The Catalog eCommerce WordPress theme is simple. To make it easy for you to setup your website, we have a fully documented theme guide that’ll help you with installation, customization, etc. 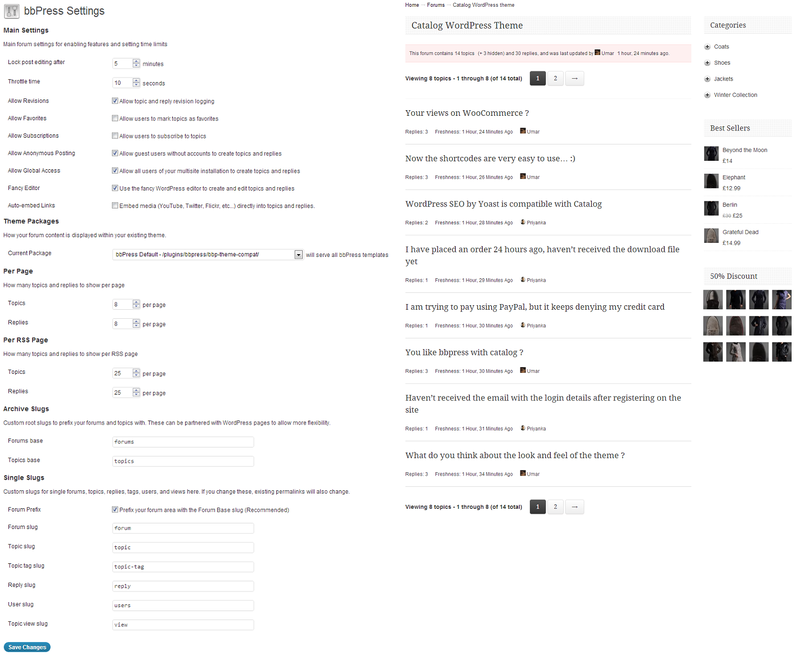 Additionally, you also get the access to the theme support. You can get in touch with our support executives and ask them questions regarding your Catalog eCommerce WordPress theme directly. We strive to provide you with a prompt response. 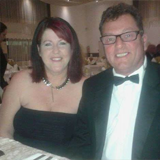 Pleasure to be a customer with Templatic for nearly 5 years. The product was exactly what we were looking for in terms of functionality and the price was fair too, These support team have given consistent help and offered awesome support. Nothing is to much trouble and for me it gives me peace of mind that should the worst happen they are there to sort it out. Outstanding 5 star service in my opinion.